I’ve been keeping this a secret for a few weeks now, but I can finally spill the beans. This year (2013) is going to be the year of LIFESTYLE CHANGE here at Crabtree Fitness. No “diets” and no “challenges” (after all, a challenge is only short term and then we tend to go back to our old ways). This is about motivating and encouraging you to make positive lifestyle choices so you reach your full potential. These lifestyle changes will guide you to your fat-loss goals whilst achieving the best outcome for your health and well being. No one will be forced to make these changes but encouraged by the information provided. It will complement a fit and healthy lifestyle. After all, nutrition and exercise work together to get the best results. Our lifestyle change for our first block will be swapping from white to brown (i’m not talking about the colour of the towels in the bathroom here). These products are mainly carbohydrate foods. I’m talking about white (fluffy) carbs. Cakes, pastries, biscuits, white bread, white pasta, white rice, white wraps etc. 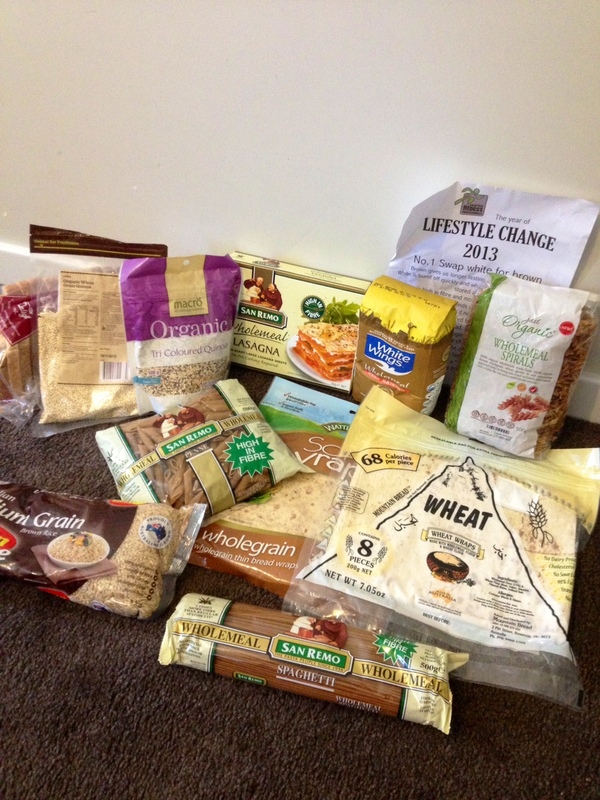 and swapping to wholemeal/whole grain varieties of these products. Things like brown rice, wholemeal bread, wholemeal pasta, wholemeal wraps, you get the picture. These products are all from the supermarket, no need for the health food store. Sometimes you need to search as they are hidden on the top or bottom shelves. Baker’s Delight bread is made from 100% wholemeal flour unlike some of its opposition. Some breads can be made with half and half as a cost cutting measure, so it pays to check. Wholemeal grain bread is a better choice than white grain, so try for the brownest option. If you’re already eating brown carbs, that’s awesome, maybe you could concentrate on your portion size if you are not meeting your fat-loss goals. The reason I’m trying to influence this swap is because of what happens to these carbs once inside our bodies. Carbs are our main fuel source (they give us energy). When we consume fluffy carbs they give us a quick burst of energy and are burnt up really quickly. BUT what is not used ends up being stored as fat . It’s a different story when we consume brown or wholegrain carbs. They are much slower to burn and give us a longer lasting fuel supply to keep us going for longer periods of time, hence cutting back on cravings. They are also packed with fibre which is indigestible and rather than ending up in the fat cells it ends up in the toilet. We still need to watch our portion control on any carbs and the best time to consume them is after we have exercised so they can refuel the body after our energy stores have been depleted. So if you are looking for fat-loss cut back on the fluffy carbs and go for the brown ones to get the results you are after. I would love for all my campers to give this a crack and choose one brown thing at a time to swap. Going for a complete change will be too hard and set you up for failure. My kids only know wholemeal now and it’s a “normal” part of their life. Why don’t you try and make it part of your “normal”. 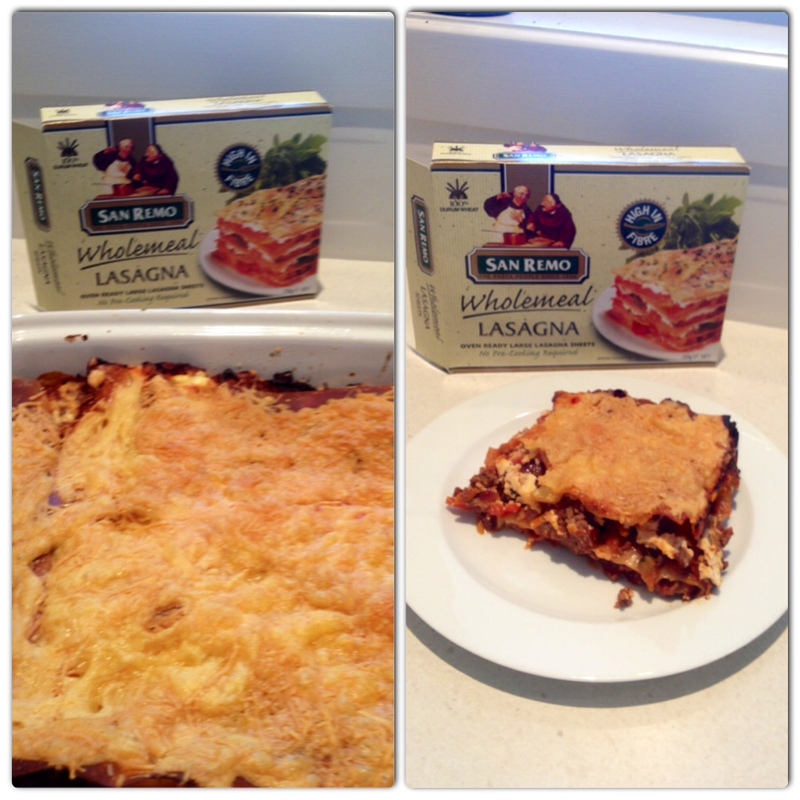 Preheat oven to 180 degrees and spray your lasagne dish with olive oil. I browned the vegies in the olive oil removed and then browned the mince. Add the veggies back and add sauce. Simmer for a couple of minutes . You may need to add a bit of water so it’s not so thick. To your dish add one layer of meat one layer of ricotta one layer of sheets repeat twice finishing with the sheets covered in a mixture of tasty and parmesan cheese. This gives it a really crispy top (which the kids saved until last). Cook in the oven for about 45 minutes and whallah!! Good luck with it and I will be checking in on you. And welcome aboard to all our new campers starting this week. It’s great to have you as part of team Crabtree Fitness. Next Post When do we need sports drinks?